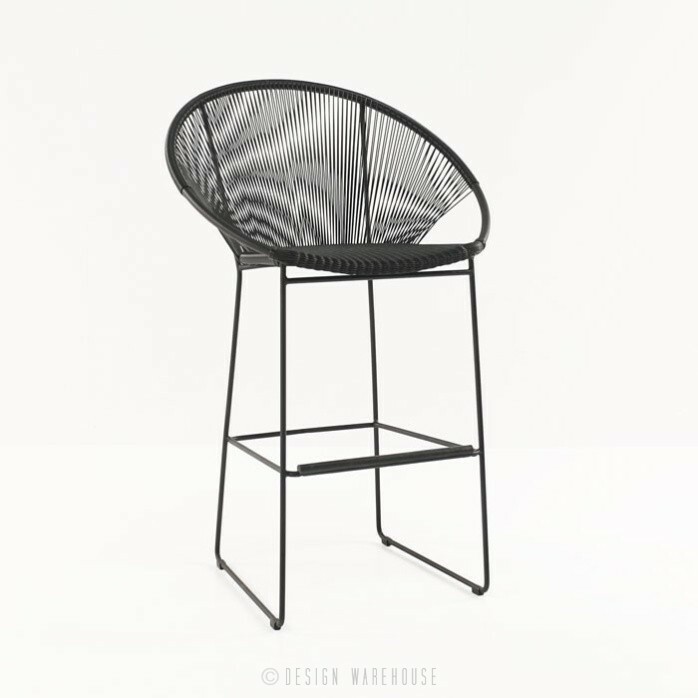 This stunning bar chair in black outdoor wicker is modern yet inviting. 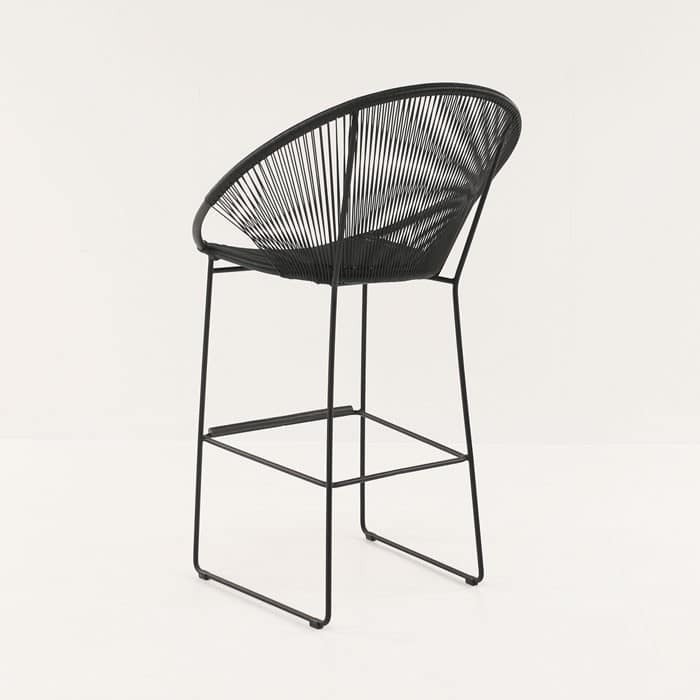 Its eye-catching design is fun and sophisticated and will make any bar area whether indoors or out the popular place to sit. 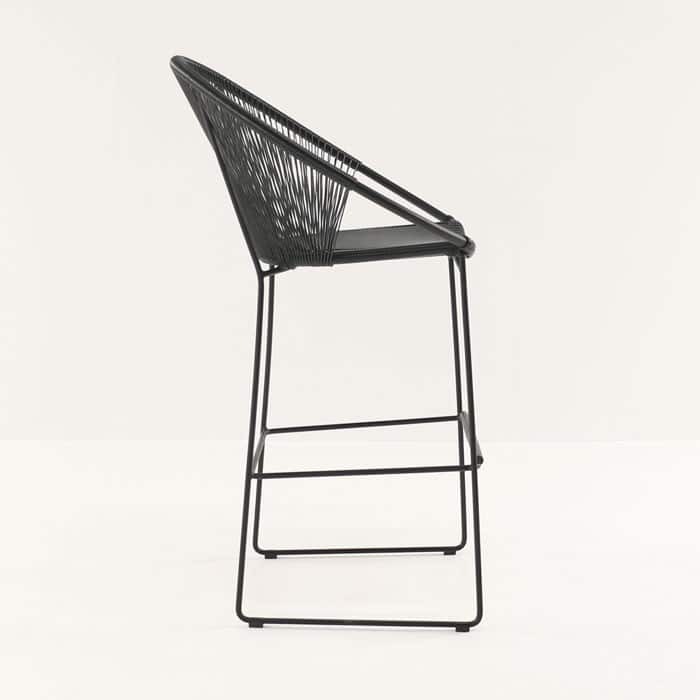 The Pietro Bar Chair is made with high quality materials that are great for outdoor use. 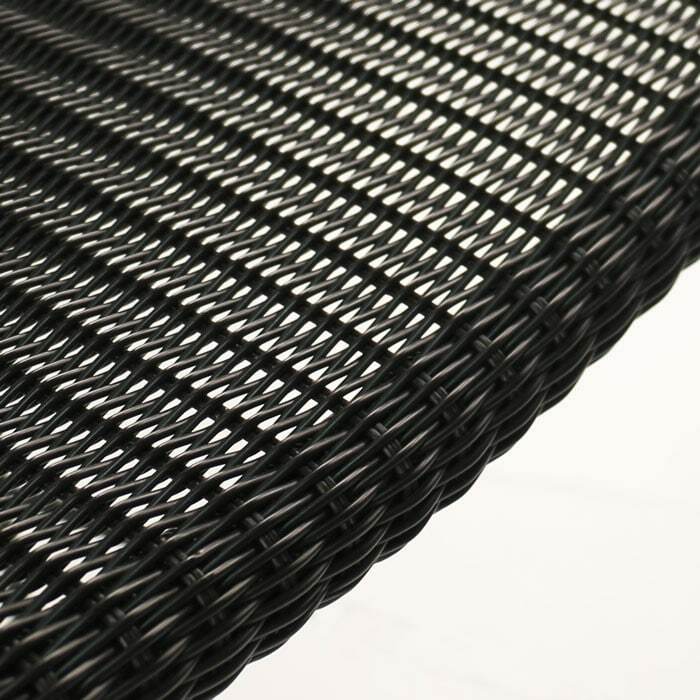 The frame is made with powder coated steel, powder coated aluminum and wrapped in a synthetic weave that is smooth to the touch. 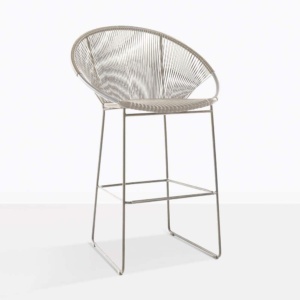 The steel frame makes this bar stool extremely durable while the weave keeps the look light, airy and whimsical. 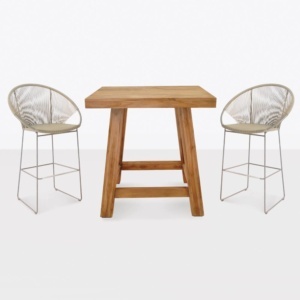 We love this bar stool with many of our bar tables including concrete and teak. 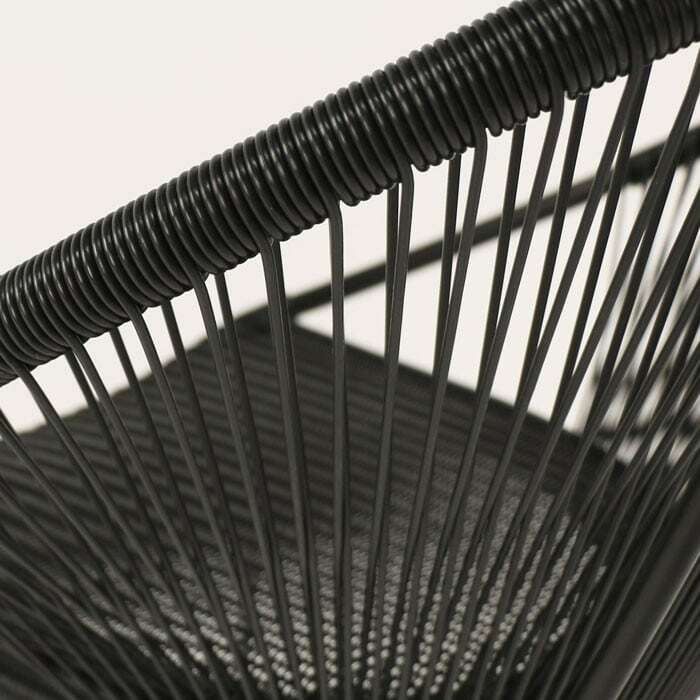 The wide seat and footrest make is an absolute delight to sit in.